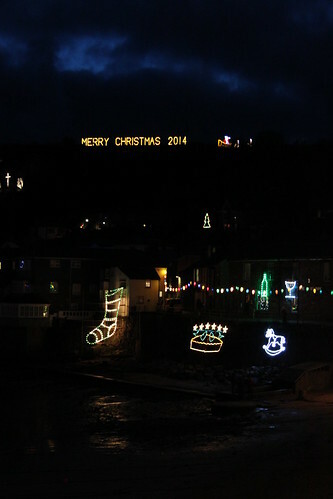 The Crew have been spending a lot of time in Cornwall recently, so they were keen to check out one of the most spectacular sights that the county has to offer at this time of year: the Mousehole Harbour Lights*. 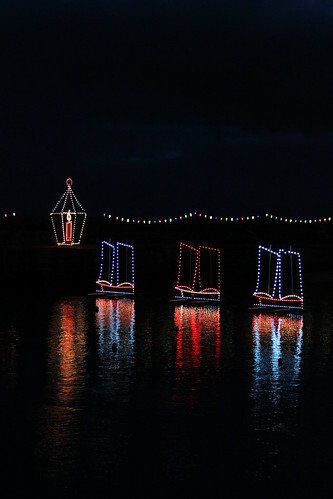 And with forty separate installations, twenty strings of lanterns, over 7,000 bulbs and more than five miles of cable, it was most certainly worth the visit. 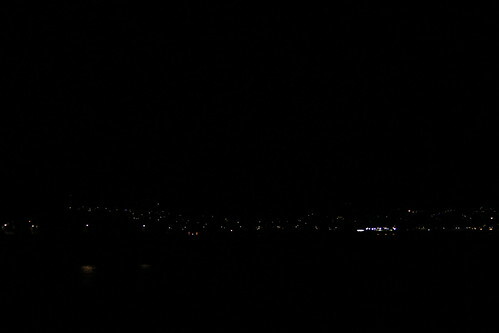 We arrived just before dusk, about half an hour before the lights were due to be turned on for the evening. And as we wandered around, it became apparent just how nice this tiny fishing village is. It has tiny streets, tiny houses, a few tiny shop and galleries… and an extremely tiny harbour. It seems to be mostly a tourist destination now, full of second homes and holiday rentals, but has a strong maritime past of which any port would be proud. 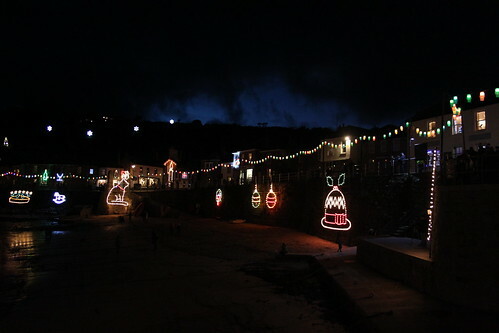 … and then some of the individual installations that were stationed on the harbour itself and across the village. 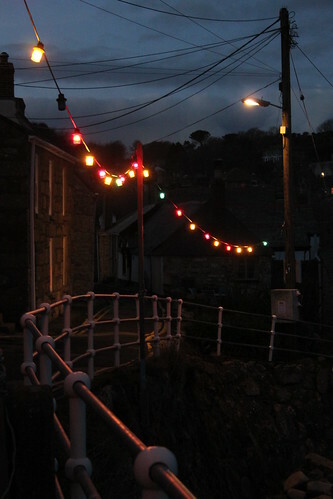 Soon, the village and the hills around it were ablaze with festive lights. Neither the Crew nor I (nor my wife nor the dog) had seen anything like this before, and we were all a little stunned. It was easy to see how we as a species have evolved to use light to ward off the darkness and the shadows that it contains, especially at this time of year, when the nights last so much longer than the short days. 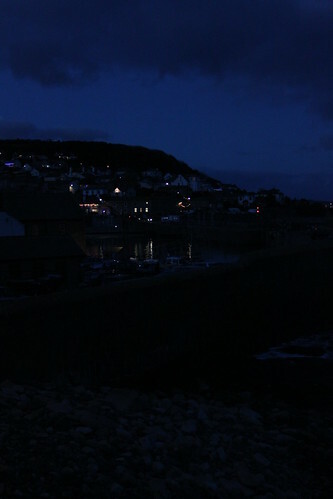 Like many of the other visitors to the village, we had to stand by the harbour for some time, just to take it all in. Look out for the ‘Mousehole cat’ in the picture above. 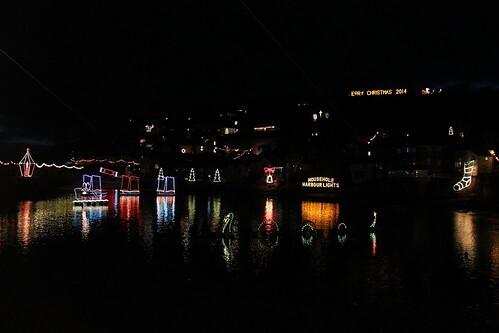 The little guys were quite taken by the lights, too, and by the general festive atmosphere of the village. It could so easily have become a kitsch affair, but somehow it had managed to maintain an air of dignity and community spirit that just made us want to hang around and enjoy the atmosphere. 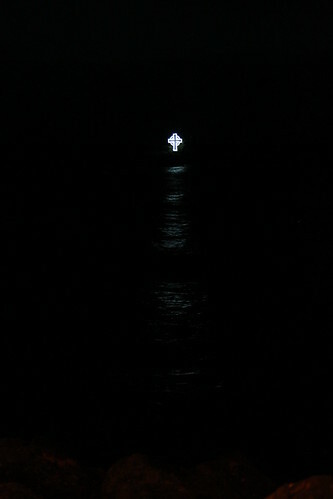 A few hundred metres offshore from the harbour lies St. Clement’s Isle, which was decked for the occasion with a huge illuminated Celtic cross. This helped to add a sense of spiritual solemnity to the proceedings and served as a reminder of the role that the sea has played in the history of this most rugged of counties. With the day of our visit being the anniversary of the loss of the local Penlee lifeboat, we decided to take a walk along to the old lifeboat station. The station at Penlee Point, just on the edge of the village, was opened in 1913. But on this fateful night in 1981, during an attempted rescue of the crew of the coaster ‘Union Star’ in hurricane-force winds, the eight-man crew of the lifeboat ‘Solomon Browne’ – and the crew of the ‘Union Star’ – were lost to the sea. Although there is now a new lifeboat station along the coast at Newlyn**, the old station is still maintained as a memorial to the lost lifeboatmen. 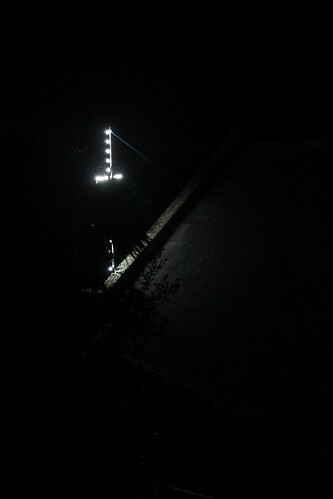 And as we reached it, a large illuminated cross shone out from the building’s roof. 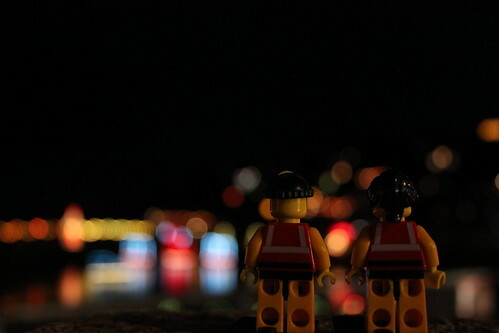 With the harbour lights themselves being dimmed for an hour as a mark of respect to the lost crew, this served as a stark – yet oddly uplifting – reminder of the risks that our brave lifeboat crews face every day. And a fitting memorial to their sacrifice. * The name of the village is pronounced something like ‘Mowzl’. ** Though it is still the ‘Penlee lifeboat’. This entry was posted in Out and about and tagged Lifeboats, Mousehole, Penlee Lifeboat, RNLI, The Lifeboat Crew by Simon Perks. Bookmark the permalink. Lovely photos, well worth a visit.